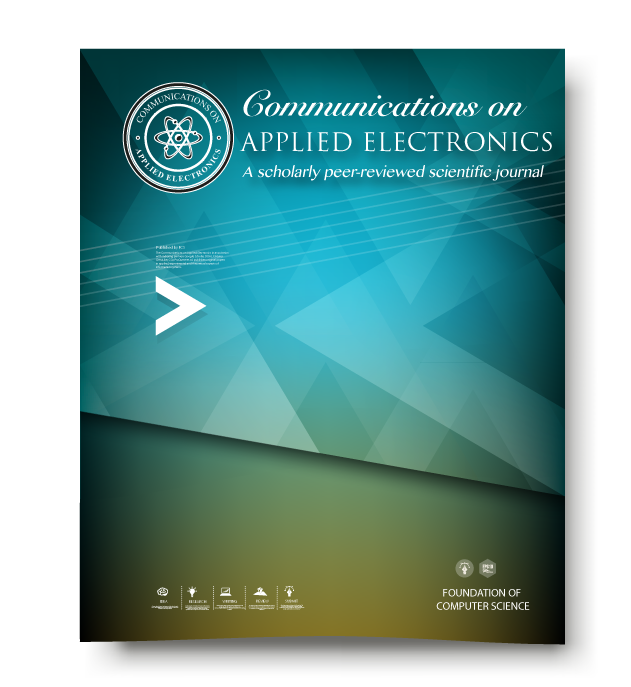 Communications on Applied Electronics (CAE) is a journal which was declared open-access in 2014. CAE aims to garner maximum knowledge dissemination throughout the scientific and academic communities via the various indexes and academic databases. The various boards of CAE are coordinating with other indexes such as British Library, DBLP, EBSCO et. cetera. We shall keep the global readership updated on the various developments in this regard. The CAE research articles and metadata of all published issues are sent to our archival partners. They provide an ongoing, permanent online archive of Communications on Applied Electronics (CAE) articles, and migrates content from one file format to another as technology changes and as file formats become obsolete. Even in the event that CAE ceases operations or is unable to deliver articles worldwide, our archiving partners make certain that CAE's entire scholarly journal collection is preserved for future scholars, researchers, and students. We will continue to enhance our archiving and stay up to date with evolving industry standards. We are pleased to participate in LOCKSS, one of the respected independent archives of scholarly journals. LOCKSS, based at Stanford University Libraries, is an international community initiative that provides libraries with digital preservation tools and support so that they can easily and inexpensively collect and preserve their own copies of authorized e-content. LOCKSS, in its eleventh year, provides libraries with the open-source software and support to preserve today’s web-published materials for tomorrow’s readers while building their own collections and acquiring a copy of the assets they pay for, instead of simply leasing them. LOCKSS provides 100% post cancellation access. Communications on Applied Electronics (CAE) is published by the prestigious Foundation of Computer Science (FCS), New York, USA. Like any FCS journals such as IJCA and IJAIS, CAE participates in the various libraries such as the arXiv.org program sponsored by Cornell University Library. Communications on Applied Electronics (CAE) works with the indexes in compliance to the FCS IP & Content Sharing Policy.